Don't you know about techkatha? If your problem have been Discussed in the techkatha, you can search in the WWW.techkatha.com. but you can't login to internet at any time you can use techkathaOffliner. also you can save time & get Quick anser from techkatha podcast. it use dounloaded techkatha episode. step 1: download techkathaOffliner.exe using below download link & Install to any Drive. if you select "c:\" Drive, instillation Path is "c:\techkatha"
step 3: after that rename episode file using that episode no. step 4: 1 episode is introdusing program. 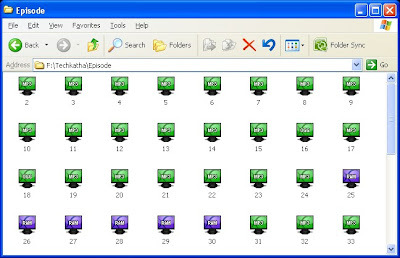 it rename as 1 therefor no 6-7 episode, it rename as 7.
now having dual episode like 6 and 7. after that setup is complete. step 5: now get techkathaOffliner (Start --> All Program --> techkathaOffliner --> techkathaOffliner ). type what you want to search and click on the search button. duble click title to what you want listen in the list. step 6: you can delete selected record from list of the serch result using delete selected. step 7:you can listen selected title from list of the serch result using Enter key or mouse double click. step 8: when click on the Random QS button program can show some topic from all of episode. step 9: i hope to give update of techkatha. 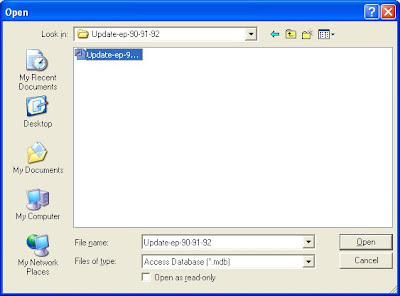 download update after click update button and select update file and click ok.
step 10: anybody wont to listen to all of title of any podcast, type that no and clock "go to episode" button. if you can't listen rial audio format, please download Real-audio Player and install it to your PC. this software is beta virsion,teherefor I want to know all of bugs/errors you faced for techkathaOffliner. don't forget write some comment about these program. department of university of Ruhana . Sorry for the my bad English. Please put your comment here. How Do You Know Your Invention Is New Invention?